Why choose a Royal Caribbean mini cruise break? Experience legendary American hospitality on a cruise ship sailing from the UK. American cruise line Royal Caribbean International offers a wide range of itineraries across the globe each year, but also offers a convenient selection of short taster mini cruise breaks sailing from the port of Southampton. The cruise line was founded in Norway and is now based in Miami, Florida, United States of America. The company operates a large fleet of vessels ranging in size right up to Harmony of the Seas, the world's biggest cruise ship. The company is highly regarded for its fun and active holidays with something for everyone on-board. Their family-friendly ships are loved by children, parents and grandparents across the world, making them ideal for multi-generational holidays. Whether you will be travelling on your own, as a couple, as a family or as a large group there will be something to keep even the fussiest traveller happy. There's always something going on but there's also plenty of opportunities to enjoy some romantic downtime too. Each ship is equipped with a luxurious spa, a swimming pool, a gym and a range of restaurants including a range of intimate, speciality options. The crew help make the ships come alive and the American-style service has to be experienced to be believed. Nothing is ever too much trouble. Note: Royal Caribbean International doesn't offer 2 for 1 mini cruise deals but they do offer great value mini cruise fares throughout the year instead. Find details of upcoming sailings below. A fun way to try a cruise ship holiday without committing to a week or more. Conveniently sail direct from the port of Southampton. A massive choice of cabins are available: value Inside cabins, Outside cabins with a sea view, Balcony cabins with a private outdoor space, and plush Suites for extra luxury. Your sailing is full board meaning your main meals and snacks are included in the price. There won't be enough time on a short mini cruise break to fully explore and experience the ship, leaving you wanting more. Drinks cost extra, as do speciality dining choices and some snacks. Complimentary tea, coffee, water and fruit juice (during breakfast hours) is available from the buffet restaurant and room service though. Drinks packages are available which may represent better value for money than paying as you go. Royal Caribbean has a massive fleet in excess of 20 ships spanning a variety of sizes and based right across the globe. 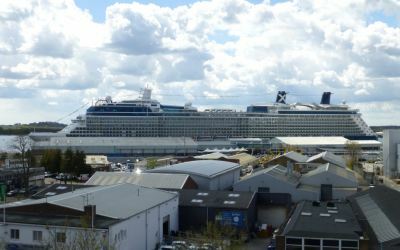 Each year the cruise line bases at least one ship in Southampton and several in Europe. For mini cruise sailings from Southampton the ship on offer in 2019 and 2020 is Independence of the Seas, a British favourite. Independence of the Seas, or "Indy" as she is affectionately nicknamed, can carry a mind-boggling 4,370 passengers. Don't let that fool you as the size of the ship means that it will rarely feel crowded and there's always a quiet sanctuary somewhere. She will receive a massive refit in early 2018, introducing a new look and feel as well as new features. With lots of passengers to keep happy Royal Caribbean goes to town with everything it does. The standard of food is impeccable - adventurous diners can choose from a wide range of dishes while fussy eaters will always find something delicious on the 'regulars' menu. Entertainment is American style - glitzy Broadway-style shows, top quality guest entertainers and live musicians to name but a few. The crew are a friendly bunch and you'll always find a smile. Remember: Royal Caribbean ships sailing from the UK offer top quality American-style service together with small adjustments to cater to the British market - for example the addition of tea and coffee making facilities in the cabin. If you want to dip your toe into the world of cruise ship holidays then a two-night cruise is ideal. 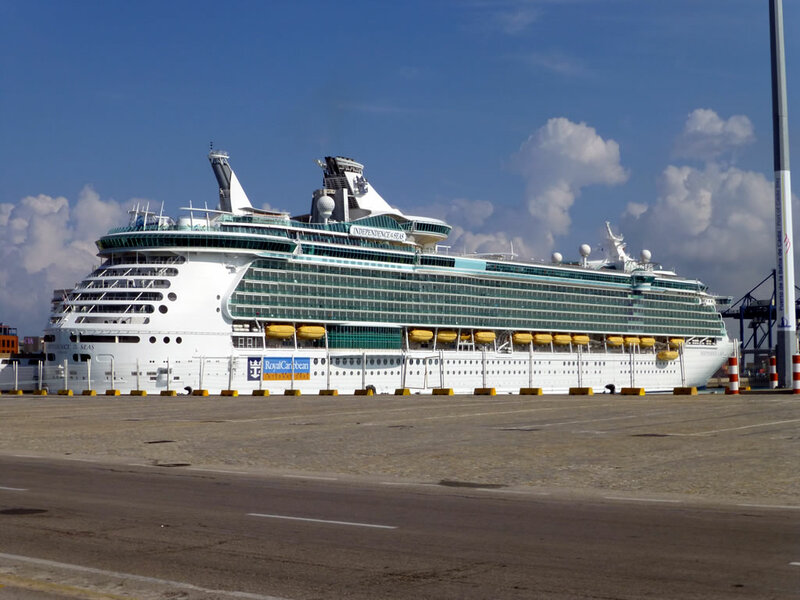 If you've been on a cruise ship holiday before, perhaps not with Royal Caribbean, then a five-night sailing would give you more time to explore the ship. 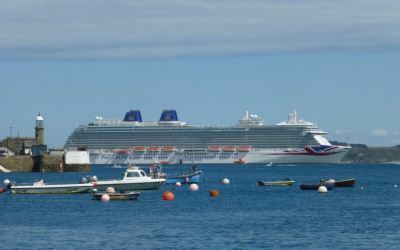 There's loads of information on this website about mini cruises - feel free to browse around or get in touch if there's something specific you'd like to know about. I'm also busy compiling a list of Royal Caribbean mini cruises from Southampton which might be of interest too. Love the mini cruise deal but wish there were more from Liverpool. Its such a hassle getting home from southern ports. I agree - there's been a slight boom from some cruise operators sailing out of Liverpool but there's undoubtedly room for improvement. Perhaps the investment in the new cruise terminal will attract operators to base more ships out of Liverpool. I've been busy compiling mini cruise deals from Liverpool on my cruise blog so feel free to bookmark that page to see the latest deals.